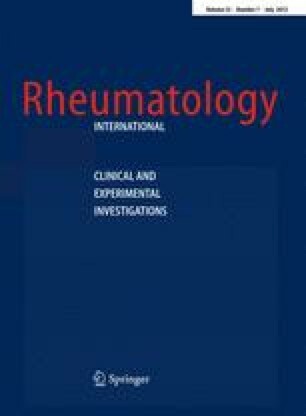 Published data on the association between tumor necrosis factor-alpha (TNF-α) promoter-308 A/G polymorphism and systemic lupus erythematosus (SLE) risk are inconclusive. To derive a more precise estimation of the relationship, a meta-analysis was performed. A total of 28 studies including 2,992 cases and 4,326 controls (5,924 cases and 8,484 controls in A versus G comparison) were involved in this meta-analysis. Meta-analysis was performed for genotypes A/A (recessive effect), A/A+A/G (dominant effect), and A allele in fixed or random effects models. In addition, we also performed a “model-free” analysis by considering the G/G genotype as the reference and estimated the OR for the A/A versus G/G and A/G versus G/G genotype. Overall, an association of TNF-α promoter-308 A/G polymorphism with SLE was found (A versus G: OR = 1.686, 95% CI = 1.400–2.032, P < 0.001; A/A versus A/G+G/G: OR = 3.043, 95% CI = 2.185–4.238, P < 0.001; A/A+A/G versus G/G: OR = 1.822, 95% CI = 1.379–2.407, P < 0.001; A/A versus G/G: OR = 3.686, 95% CI = 2.628–5.172, P < 0.001; A/G versus G/G: OR = 1.691, 95% CI = 1.291–2.215, P < 0.001). However, stratification by ethnicity indicated that the risk A allele was not associated with SLE in Asian (A versus G: OR = 1.207, 95% CI = 0.856–1.702, P = 0.283) and African population (A versus G: OR = 1.225, 95% CI = 0.597–2.516, P = 0.580). In summary, this meta-analysis indicated that TNF-α promoter-308-A/G polymorphism is associated with susceptibility to SLE. Hai-Feng Pan, and Rui-Xue Leng contributed equally to this work and should be considered co-first authors. This work was supported by grants from the key program of National Natural Science Foundation of China (30830089, 30771848) and the Specialized Research Fund for the Doctoral Program of Higher Education of China (20070366002).